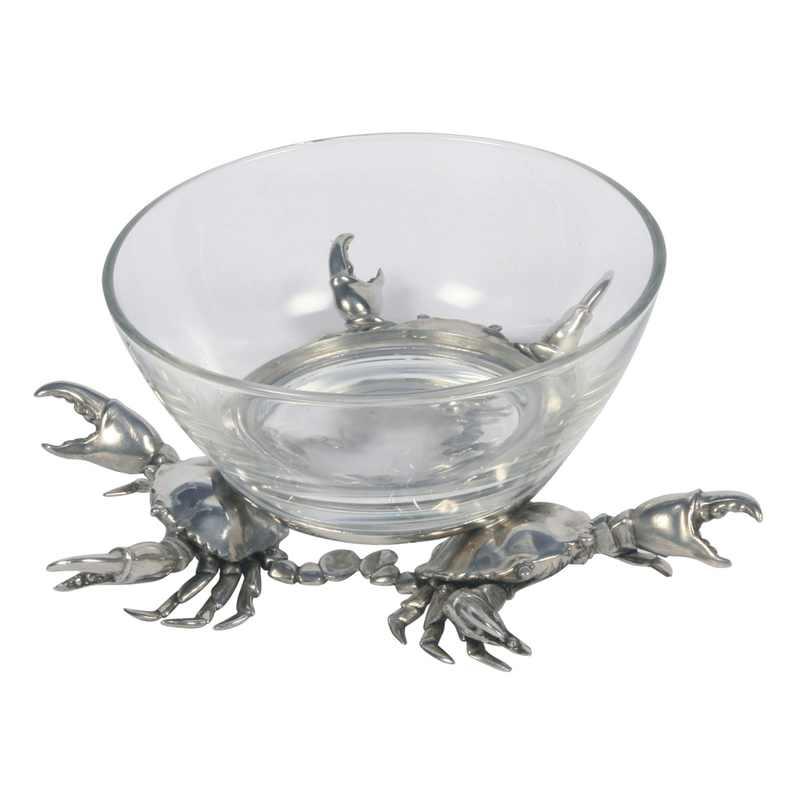 With its footed glass bowl resting on three intricately detailed pewter crabs, the Crab Glass Dip Bowl - Large is the perfect addition to your coastal dining room. This coastal dinnerware ships from the manufacturer. Allow 3 to 4 weeks. Cannot express ship. For many more options, we invite you to take the time to go through our complete range of coastal dinnerware at Bella Coastal Decor today.